Over recent years, there has been a huge emphasis researching the relationship between coupling correct nutrition with optimal training methods in an attempt to enhance performance. At this point, you may start to question why a sports nutrition brand would even bother to write such an obvious article. 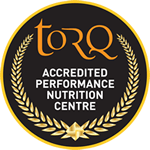 Well, TORQ doesn’t just provide you with the products enabling you to perform and train optimally, but prides itself on contributing honest, simplified and research proven recommendations, allowing you to formulate constructive dietary and training choices. The human body is an exceptionally complicated structure, regulated by a number of feedback mechanisms in order to maintain homeostasis. Homeostasis, in relation to training and nutrition is the process of maintaining a state of balance, or more simply, ensuring the body remains within its “comfort zone”. During periods of stress i.e. a bout of training, the human body is pushed towards the upper limits where fatigue is purposely induced upon the machinery responsible for the completion of the exercise. We determine the machinery as the contracting muscle fibre, the cardiovascular system (providing blood and oxygen to the working muscle) and neuromuscular functionality (electrical signals sent from the brain that ensures the muscle fires correctly). In context, such fatigue could be caused by; Anaerobic interval training (high intensity exercise lasting between 20 seconds and 3 minutes), aerobic interval training (sustainable longer intervals lasting between 8 and 45minutes) , strength and conditioning sessions (sport specific exercises promoting proper movement thus enhancing performance), power lifting (the development of speed and power) and endurance exercise respectively (long steady state exercise sessions lasting between 45 minutes onwards). Each of which will impose different stressors leading to very different training adaptations. 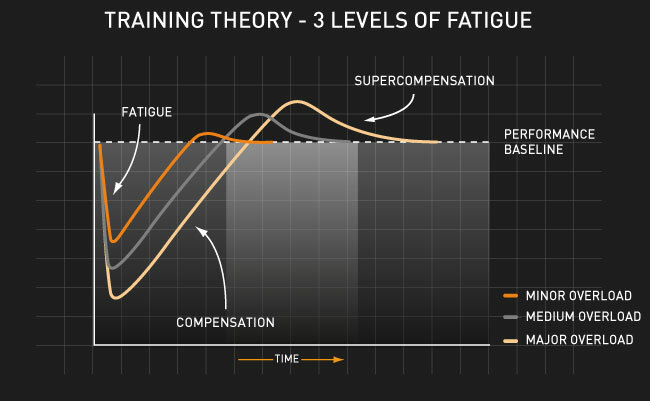 Now that you have a better understanding of what training is, it is important to discuss how the depth of fatigue generated through training can positively impact the adaptation (getting fitter) response. 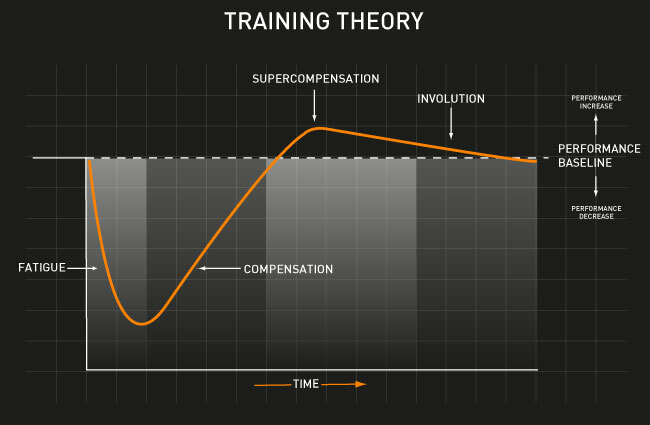 The harder you train, will impact the disruption to the bodies desire to maintain within a state of balance and ultimately lead to a better adaptation response (light orange line seen below). If the training session does not disrupt the state of balance enough, simply there is no requirement for the body to adapt (dark orange line seen below) and ultimately get stronger or fitter. 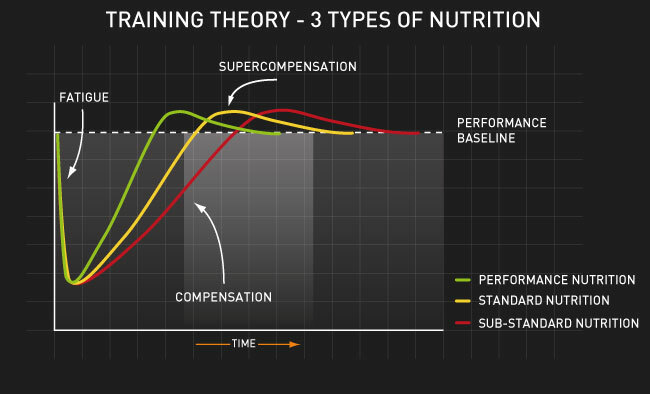 At this point it is important to consider the relationship between training, nutrition and its effects on recovery and adaptation. Correct nutrition will provide you with the energy required to complete specific types of training. For example, if your goal is to improve 10-mile TT performance, you would expect to complete many of your sessions, predominantly utilising the anaerobic energy system (the cellular process of burning carbohydrate without the presence of oxygen to generate energy). If there is limited carbohydrate available throughout this type of training, it would surmise that the training stimulus would not specifically target the anaerobic energy system due to poor fuelling and therefore, an adaptation to the training would not occur. If there is no adaptation to the training, 10-mile TT performance would not improve and the circle continues. 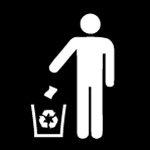 It must be noted that to continually train towards the upper limits, considerations must be made to recovery. Nutrition is vital to optimal recovery. Carbohydrates and proteins allow the human body to refuel and repair between sessions and if freely available nutrients are present post exercise, the functions involved with getting fitter (i.e. increase muscle fibre quantity, improved muscle fibre function, increased blood vessel quantity supplying blood to the muscle and improved thermoregulation etc.) occur sooner after training along with greater peaks giving you “more bang for your buck”. This reduction in recovery time will also allow you complete more training sessions in to a training week, leading to a greater training overload (fatigue). Coupling structured overload with optimal recovery through nutrition, will allow you to distinguish more noticeable performance increases allowing you to gain places on the main club run climb, win races and ride with fitter riders at quicker paces. TORQ have designed a range and nutrition products to supplement the training process, from energy drinks, bars, gels & chews, to recovery drinks and bars.  To make things really easy for you, we have even broken the fuelling and recovery requirements down in to a simple and effective systems, backed by peer reviewed research. 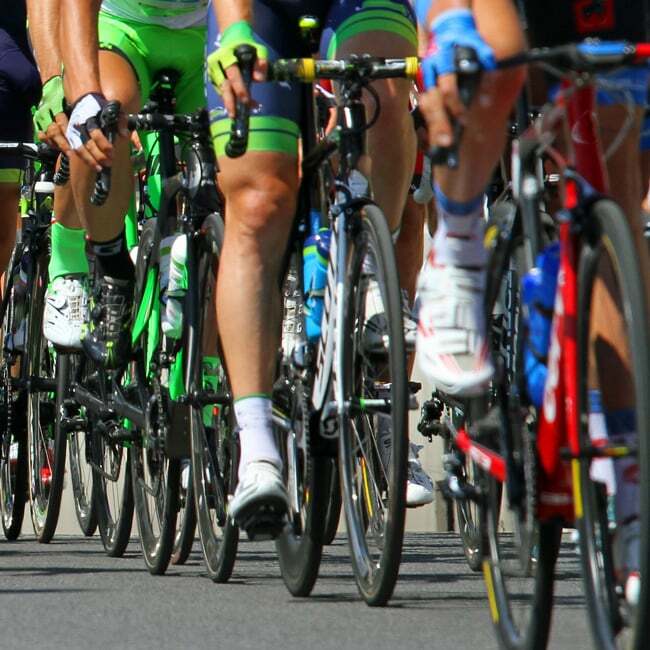 If you feel you would like a more detailed understanding of your personal performance and physiological composition, you can review our Performance Consultancy services where a number of testing and coaching options are available.